Manufactured in the USA, our wireless nurse call systems that we provide at BEC Integrated Solutions have led the industry for almost 20 years. All 50 states, many foreign countries and over 2,500 medical facilities have purchased the wireless nurse call systems that we provide. Medical facilities from all territories rely on the wireless nurse call system for staff and patient safety. The MV200, MV400 and a PC based system are the three nurse call systems that we offer. These products are reliable, flexible and affordable, with numerous features available to meet any facility’s needs. The wireless nurse call systems that we provide offer pendant transmitters that can be used by patients to request staff assistance and to notify staff if a patient falls or attempts to leave his/her assigned location. There are multiple methods of communication using wireless nurse call. PC console or wireless, pager, email, LED reader board, or phone calls and text messages are many methods of notification. Wireless nurse call allows staff to receive text messages notifying them of calls or reminders including patient information. Smoke detection, motion detection, bed/chair exit pads, equipment status, and mass energy notification are a few other features of wireless nurse call. Our PC based wireless nurse call system is the most advanced wireless nurse call that we at BEC Integrated Solutions offer. It is our exclusive wireless nurse call option that allows nearly any existing patient technology system within a facility to be merged into one unified wireless call bell system. We also have UL1069 wireless nurse call system options available. 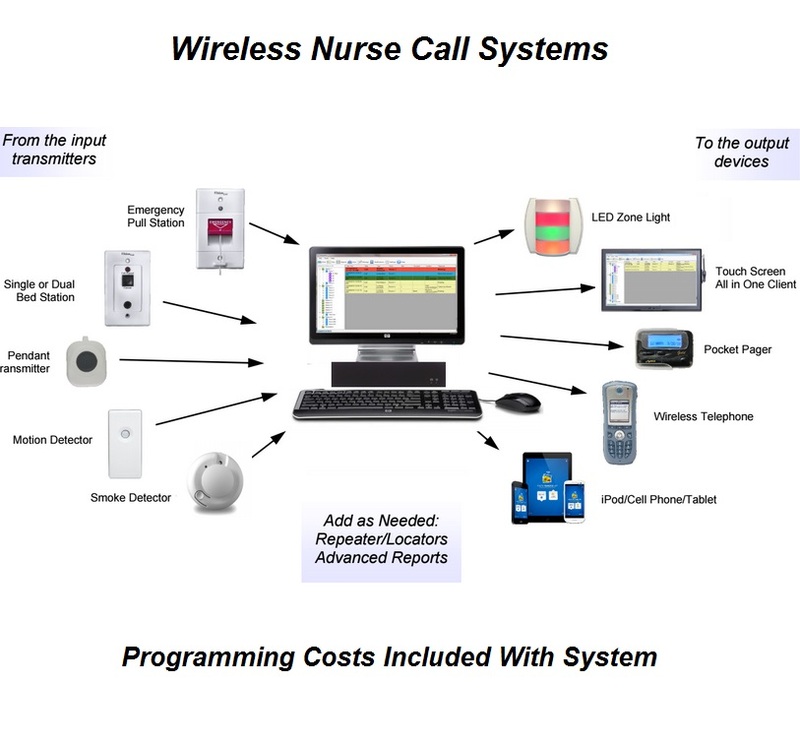 Our MV400 wireless nurse call system that we offer at BEC Integration Solutions is a mid-level system best fit for assisted living homes and various medical facilities. The MV400 pairs as many as 250 various transmitters. This system can be paired with pagers or cellphones to enhance quick communication in emergency situations. 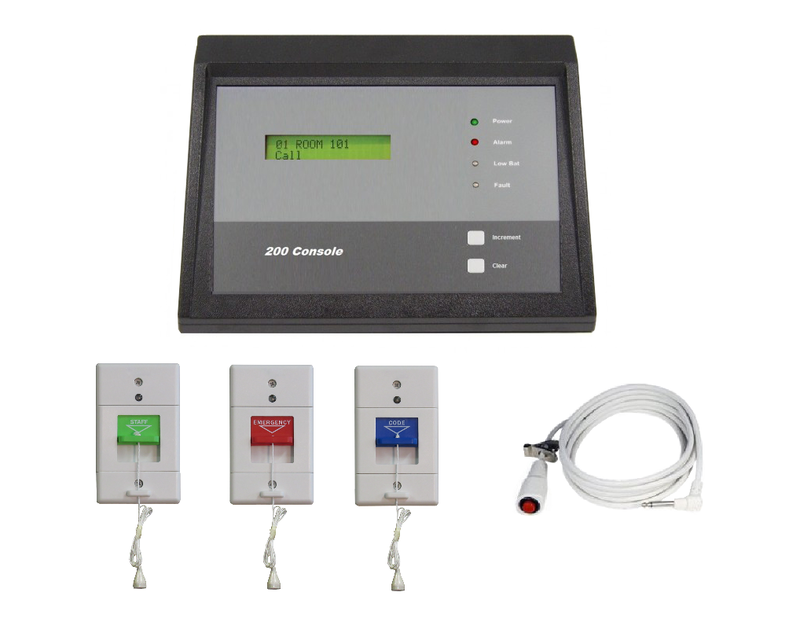 Our MV200 wireless nurse call system is the most basic wireless nurse call system that we at BEC Integration Solutions offer. The MV200 supports as many as 48 wireless emergency call stations or devices. Upon pressing a call button, the wireless consoles will sound an alarm tone while showing the patient name or room number requesting help. Systems are preprogrammed at no charge. Free tech & programming support for the life of the system. Professional installations in most areas. Upon completing the following quote form, your fully customized and complete Wireless Nurse Call System kit will be sent to the email address that you provide. You may call us or place an order directly from the quote PDF that is sent to your email. We strive to send your quote to you within 24 – 48 hours!